We’ve gone a few months without checking in on Star Wars: Forces of Destiny, and they’re about to go into hyperdrive. Disney will premiere two new half-hour installments of the shorts, featuring a number of connections between Rebels, Rogue One, The Force Awakens and more. The Disney Channel released a first trailer for the next batch of shorts, noting that a half-hour special will air this very Sunday, October 1 at 8:00 P.M., followed by a second batch on October 29 at the same time. The new trailer not only spans from The Clone Wars to The Force Awakens, but we also see Jyn Erso meeting up with Sabine Wren. 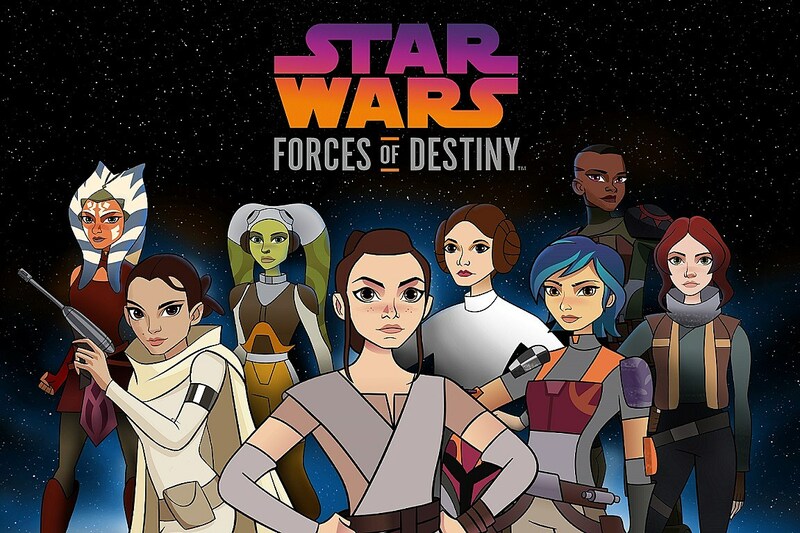 The shorts feature Rogue One star Felicity Jones as Jyn Erso, Star Wars Rebels stars Tiya Sircar and Vanessa Marshall as Sabine Wren and Hera Syndulla, and Clone Wars originator Ashley Eckstein as Ahsoka Tano. Lupita Nyong’o also voices Maz Kanata narrating the series, while Daisy Ridley and John Boyega also take part. You can see the next batch this coming Sunday, and watch prior Star Wars: Forces of Destiny entries online.